Edith Wharton’s most widely read work is a tightly constructed and almost unbearably heartbreaking story of forbidden love in a snowbound New England village. This brilliantly wrought, tragic novella explores the repressed emotions and destructive passions of working-class people far removed from the elevated social milieu usually inhabited by Wharton’s characters. 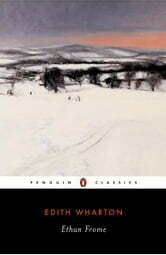 Ethan Frome is a poor farmer, trapped in a marriage to a demanding and controlling wife, Zeena. When Zeena’s young cousin Mattie enters their household she opens a window of hope in Ethan’s bleak life, but his wife’s reaction prompts a desperate attempt to escape fate that goes horribly wrong. 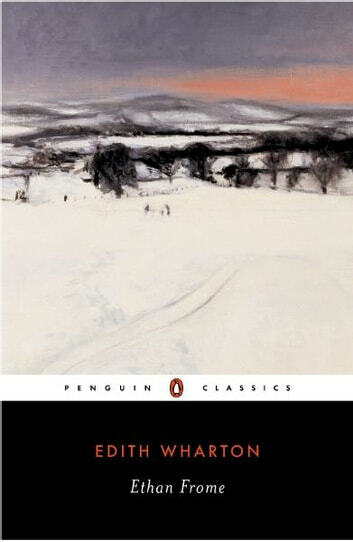 Ethan Frome is an unforgettable story with the force of myth, featuring realistic and haunting characters as vivid as any Wharton ever conjured.